Espesye sa mangungutkut nga una nga gihulagway ni John James Audubon ug John Bachman ni adtong 1841 ang Marmota flaviventris. Ang Marmota flaviventris sakop sa kahenera nga Marmota sa kabanay nga Sciuridae. Giklaseklase sa IUCN ang espesye sa kinaminosang kalabotan. Pagka karon wala pay siak nga nalista ubos niini niya. 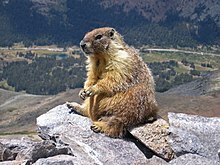 ↑ 1.0 1.1 Marmota flaviventris. IUCN Red List of Threatened Species. Version 2012.2. International Union for Conservation of Nature (2008). Retrieved on 24/10/2012. ↑ IUCN (International Union for Conservation of Nature) 2008. Marmota flaviventris. In: IUCN 2014. The IUCN Red List of Threatened Species. 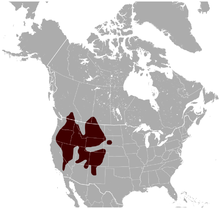 Version 2014.3. http://www.iucnredlist.org. Downloaded on 25 February 2015.